Theodore Roethke (1908 – 1963) is an American poet. The Waking (1953) won the Pulitzer Prize in 1954, Words for the Wind: Collected Verse of Theodore Roethke (1958) won the National Book Award in (1959), and The Far Field (1963) won the National Book Award in 1965. Roethke’s first collection of poems is Open House (1941). These poems are metrical and rhyme and are filled with abstraction. 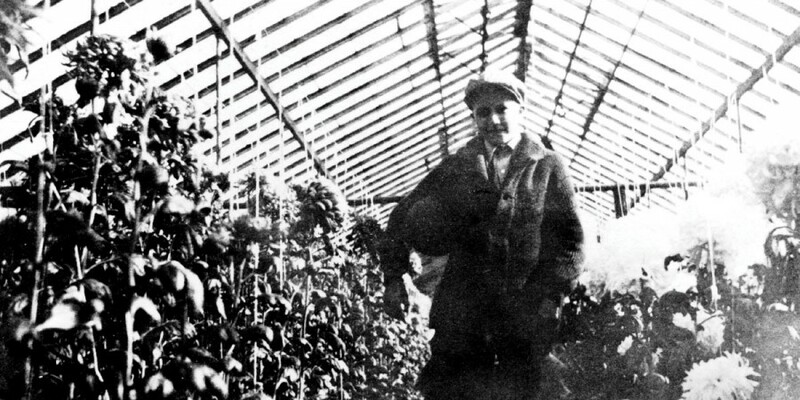 Some of Roethke’s important themes also first appear in here, such as his interest with the “vegetable realm” (“‘Long Live the Weeds” 17) (which we will see as he turn towards nature and his greenhouse), death, falling and the abyss, “the waking is slow” in “The Gentle” (27) which will be revised in “I wake to sleep, and take my waking slow” in “The Waking,” from his 1953 collection of poems The Waking. “The Reminder” is the one poem that sticks out from the others in Open House in that this poem is grounded in images and hints at his later greenhouse poems, and the poem that follows it, “The Gentle,” while returning to abstractions, hints at the psychology of his later poems. Overall, these poems seem to run against the Modernist grain, as they try to be personal but are too abstract to succeed at that, some of the poems are humorous, there is little to no allusions, and he writes of nature and not of the city. Roethke, Theodore. The Collected Poems of Theodore Roethke. New York: Anchor Books, 1975. Print.